Tales from the Real OC (Really! ): The SOUL SEEKERS Website is LIVE! 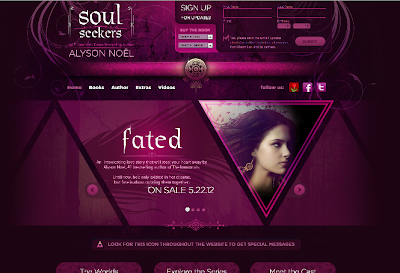 I’ve been waiting weeks to announce this and I’m so excited to share that the official SOUL SEEKERS website is now live at http://www.soulseekersseries.com! I hope you enjoy all the fun features, including character profiles, a special audio excerpt, an exclusive short story where Ever Bloom & Damen Auguste from THE IMMORTALS meet Daire Santos from THE SOUL SEEKERS, and more. Check back for even more cool items to be added in the coming days, including a build-your-own dream catcher widget and a quiz to determine your spirit animal. 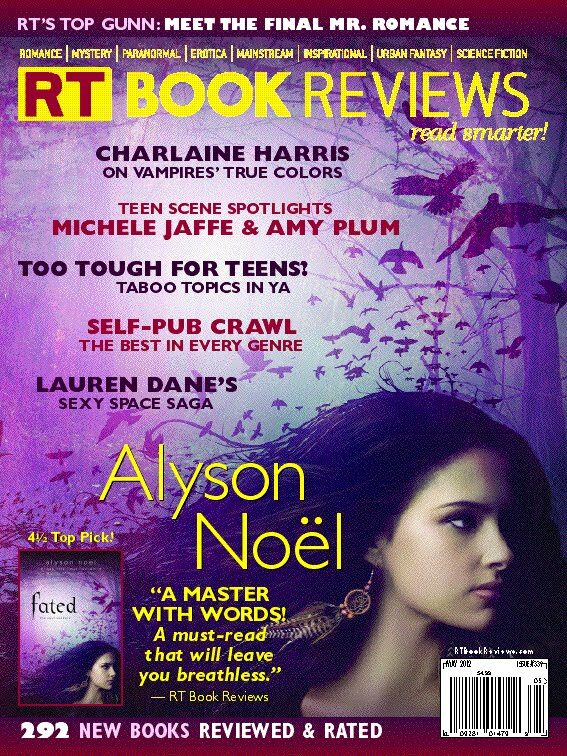 FATED is highlighted in RT Magazine's Authors in the Spotlight feature! Read an excerpt, along with my letter to the readers—it's all HERE! I also wanted you to be among the first to know that I'll be taking part in Y'ALL FEST along with an amazing group of your favorite YA authors! The line-up was just announced on the MTV Hollywood Crush blog- see it HERE. Y'ALL FEST takes place in Charleston, SC on November 10—details HERE. I hope you can join me for this awesome event! Plus, I just learned that I’ll be touring Singapore and Australia in June to promote the release of FATED—I can’t wait to see YOU there, so please look for additional info coming soon! You can also keep up with all my latest tour details as they’re announced on my website HERE and my iPhone app, which you can download for free HERE. More news to come soon . . .stay tuned! Thanks for sharing all of the good news :)! Thanks for stopping by, Victoria! Hope you're doing well!